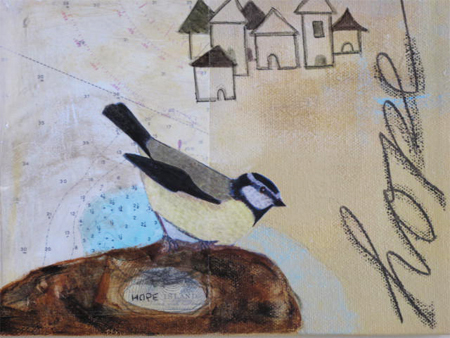 While this little birdy sits atop Hope Island on the marine map fragment of this collage, the rest of us look hopefully forwards to the upcoming long weekend. Traditionally this weekend in May- whether named for Queen Victoria in Canada - or just Memorial Day in the U.S. is the true celebration of the promise of spring, and the turning point for gardeners and weather watchers everywhere. May today, and your long weekend be filled with hope and celebration.